Stock up on cozy knits, cardigans, jeans, leggings, and boots at Mainstream Boutique. 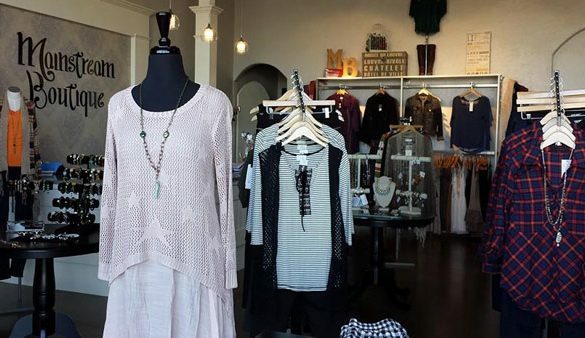 Their Frisco storefront offers a carefully curated line of casual, multigenerational women’s clothing. Their dedicated stylists are true Texas sweethearts and will be willing to work with you to find the perfect addition to your wardrobe.